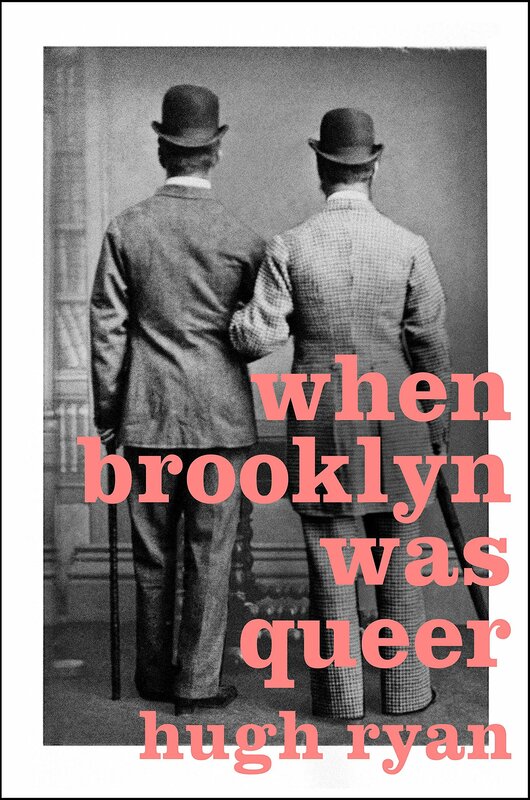 This broad social-historical consideration of American landscapes will satisfy and challenge the most serious reader. 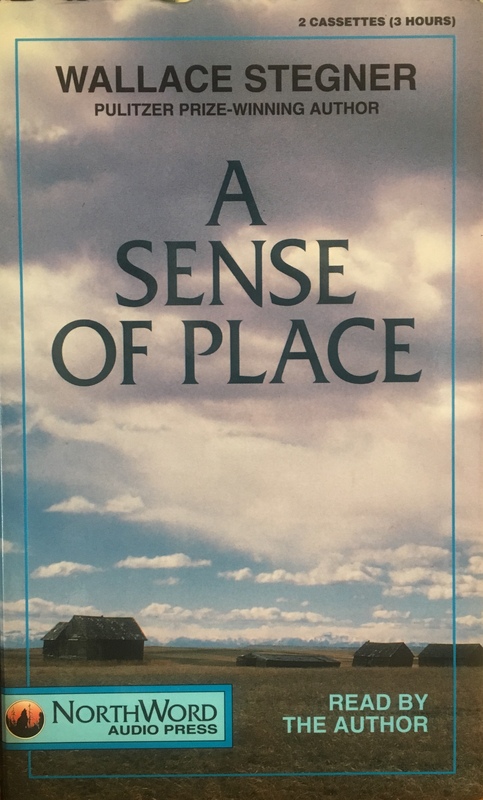 Lessard begins with a close description of “the village” where she lives near Albany, N.Y. She then travels outward, to visit a nearby friend and consider suburbophobia, and therefore the history of the suburbs–as foil to the city, as military defense concept, as commercial center, as “edge city.” Having considered terms like sprawl, metropolitan area, edgeless or stealth city and more, Lessard uses “atopia” to refer to landscapes “where contemporary development, directly expressing contemporary times, was unrestrained.” She is also quite interested in “online” as a place, from its origins in Cold War strategy through the option it provides as escape from real places. Lessard is at her best when handling the ways place and people interact (Disney’s attempt to build a history theme park just south of Washington, D.C.), and on shakier ground when handling larger issues (market forces versus governmental powers). One of her finest chapters considers a mall in King of Prussia, Pa., and the tensions and challenges facing shopping malls across the country. As Lessard shows, Cold War policy, the Depression, the legacy of slavery, racist housing policies, nuclear armament and more have all played roles in the development of the suburb and the contemporary landscape. Mixed in with these references, Lessard often cites works of art–Van Gogh, Shakespeare, Han vases–as means to understand place. Lessard can speak from a place of economic comfort that may grate some readers, but the value of her decades of research is undeniable. 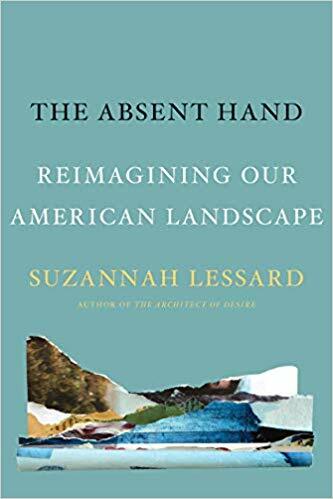 The Absent Hand is often dense, as Lessard draws upon centuries of human history to make her arguments. In this ambitious work, place is examined, deconstructed and incrementally illuminated, even as our landscape changes anew. 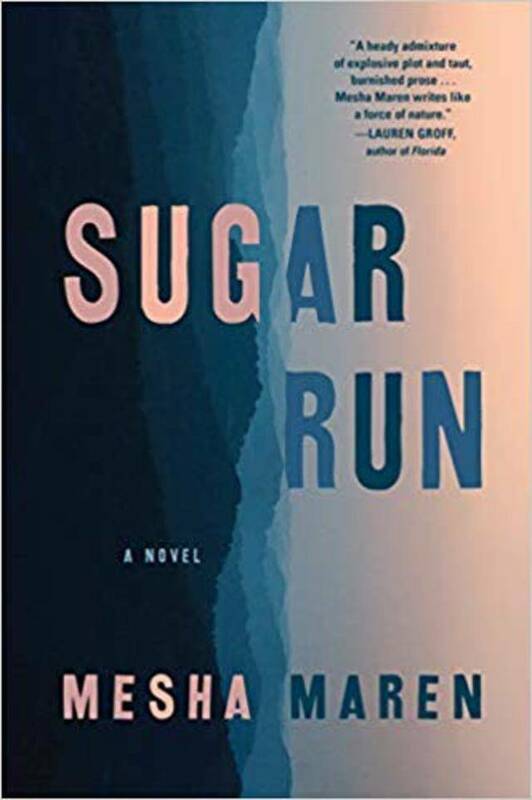 This review originally ran in the February 19, 2019 issue of Shelf Awareness for the Book Trade. To subscribe, click here. This is an extraordinary book, one of the most enjoyable reads of the year so far. I took it slowly, out of pure pleasure. Thanks once more to Jessie. Ann Daum is from a farm-and-ranch in South Dakota’s White River Valley. She left to go to college, but returned every harvest season, and came back after college. She grew up as a ranch hand; her father was the farmer, but her sister and she were ‘cattlemen’ and handlers of horses. As her parents age, and circumstances work against cattle ranching, that part of the family business shrinks and crumbles; they sell off much of their four thousand acres. But Ann’s horse breeding operation does well, and she continues on the family property. 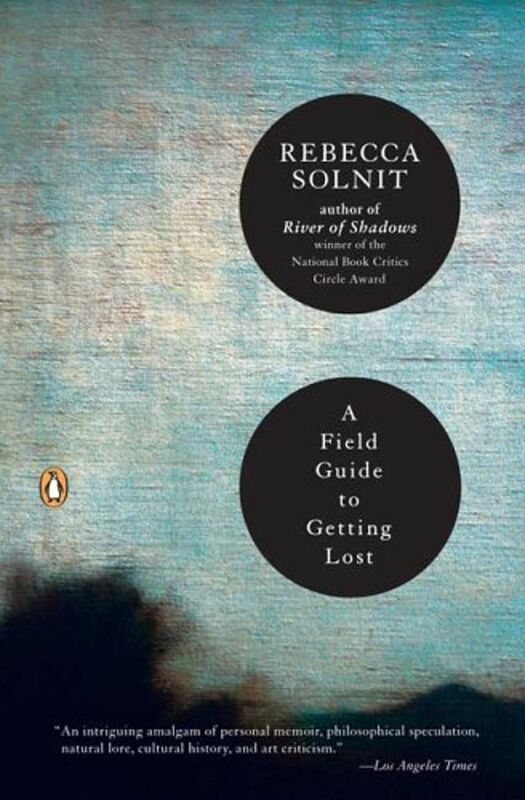 Against this backdrop, The Prairie in Her Eyes is an essay collection and something of a memoir-in-essays. 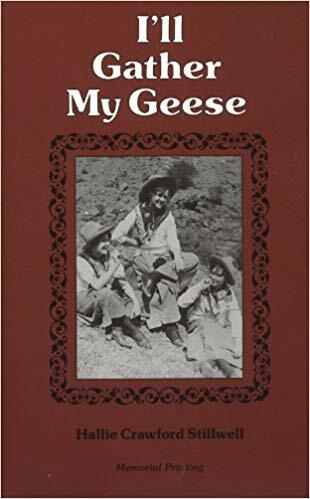 It begins with Ann listening to sandhill cranes passing over her family’s homeplace, in an essay titled “The Habit of Return,” and ends with “The Last Crane,” in which she watches the last sandhill of the season worry itself along. 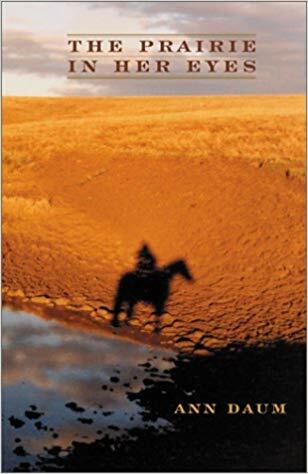 In between, essays consider the history of South Dakota and its farming and ranching cultures; the region’s wildlife; “Silence and Spaces” and “Predators and Prey,” and more. I admire Daum’s titles, which often cue me to follow her subtle braid, as in the essay “Fences,” which deals with boundaries of different sorts, and the variety of effects of literal fences in her region of South Dakota, for good and for ill, and the evolution within her own life of how she sees fences, which is a matter of both her own growth and of changes in the place itself. Some of this content is hard to take. An account of a difficult foaling had me in tears; the animals (not people!) who hurt and died wrenched me. There is human trauma, as well, that can be difficult to read; interestingly, the human trauma is written about with some distance, less graphically, while the animals’ is more viscerally portrayed. But it’s shown with so much love and grace, and beautiful prose. I’d recommend this book 1,000 times. Rain never falls in the South Dakota of my childhood. Wind blows down the valley with the force of locomotives, clouds pile on the horizon, thunder growls from the west. Once, sometimes twice, a summer, lightning sparks prairie fires that crackle and spit, swallow brown summer grasses without tasting. The flames cough embers up like glowing stars and the smoke hangs in cloud. But there is no rain. This paragraph is about the weather. Fairly dramatic weather, sure. It’s about a lack: no rain. Weather, and an absence. It does not sound like a good recipe for gripping prose. But the fires swallow brown grasses without tasting? Amazing. I’m enchanted. I’ll be referring back to this one. Readalikes: Gretel Ehrlich’s The Solace of Open Spaces and Evelyn Funda’s Weeds: A Farm Daughter’s Lament.